Everybody has a love-hate relationship with IKEA furniture. They love to buy it, but they hate putting it together. Which is why Toronto designer Adam Pickard has come up with an augmented reality (AR) app to make things better. Called AssembleAR, the app idea—which is not available for download—shows users life-size images of how to assemble IKEA furniture. 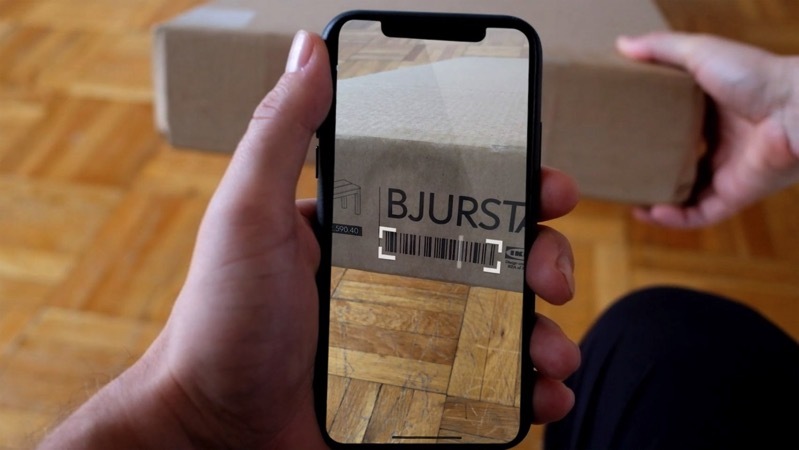 Users just scan their IKEA item barcode, which then brings up the manual and an AR model of that item on the floor. “It made me think about how this technology could be used for more complex tasks, the IKEA assembly manual seemed the right place to start,” Pickard told Dezeen in an interview. “Even though it’s well designed, people often struggle with the self-assembly – it can even be so bad that there are professionals who can be hired to do it for you,” he added. Pickard doesn’t mention any use of Apple’s ARKit in the creation of his app idea, only saying he modelled furniture parts and tools using Cinema 4D software, along with Adobe Illustrator, Photoshop and Premier to help create other aspects of the app. Would you want to use an IKEA AR app for instruction manuals like this?